This Sohar hotel is on the beach, 1.4 mi (2.3 km) from Silver Jubilee Park, and within 9 mi (15 km) of Sohar Park and Sohar Fort. Sohar Royal Gardens is 11.5 mi (18.4 km) away. Situated in Sohar, this hotel is 1.3 mi (2.2 km) from Sohar Royal Gardens and 2.4 mi (3.8 km) from Sohar Park. Sohar Fort and Silver Jubilee Park are also within 9 mi (15 km). Situated on the boardwalk, this hotel is 2.6 mi (4.2 km) from Silver Jubilee Park and within 9 mi (15 km) of Sohar Fort and Sohar Park. Sohar Royal Gardens is 10 mi (16 km) away. 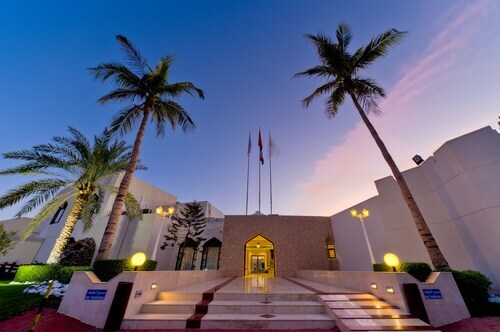 Set in Sohar, this family-friendly hotel is 9.9 mi (16 km) from Sohar Port and 12 mi (19.3 km) from Silver Jubilee Park. Sohar Royal Gardens and Sohar Park are also within 20 mi (32 km). How Much is a Hotel Room in Sohar? Hotels in Sohar start at $73 per night. Prices and availability subject to change. Additional terms may apply. Find 7 places to sleep within a 19-mile (30-kilometer) radius of Sohar through Travelocity's easy-to-use Oman hotel booking portal. The nearest of our hotels is the Crowne Plaza Sohar, Oman, which is located 12 miles (20 kilometers) from the middle of Sohar. 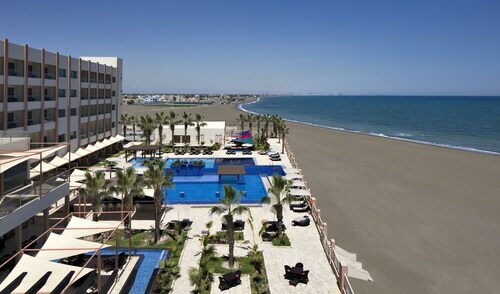 A different nearby Travelocity accommodation option is the Sohar Beach Hotel, located in Oman, about 14 miles (23 kilometers) from the urban core of Sohar. 12 miles (20 kilometers) from the middle of Sohar is the Butterfly Hotel Suites. This is a good option for tourists who are watching their pennies. Another economical place to stay here is the Al Wadi Hotel Sohar. 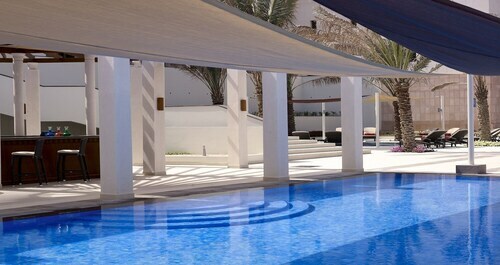 The Samaher Hotel and the Radisson Blu Hotel, Sohar are popular places to stay worth investigating. The Samaher Hotel can be found 11 miles (18 kilometers) from the heart of Sohar, or the Radisson Blu Hotel, Sohar lies 14 miles (23 kilometers) away. Or, you can look into the possibility of booking a room at the Al Sadarah Hotel Apartments. You can find it 11 miles (18 kilometers) out of downtown Sohar. Search for our thorough Sohar travel guide and unveil the varied attractions it has in store.